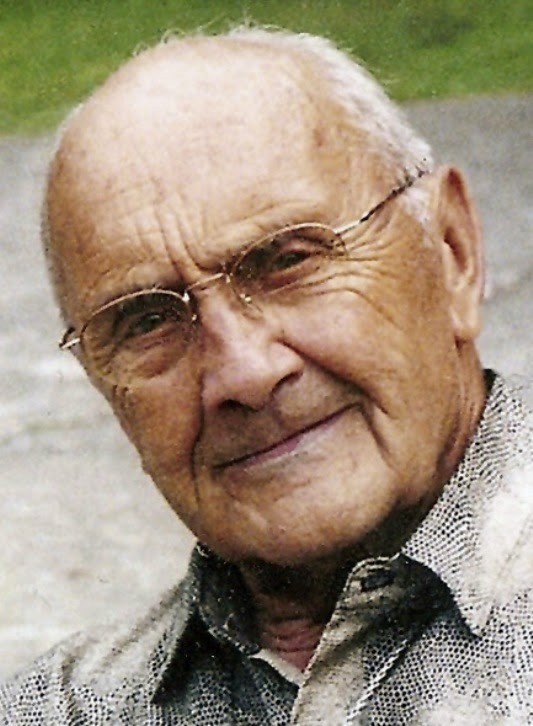 Lutgardis (or Lutgarde) was born in 1182 in Tongres, Belgium. When she was twelve she was placed in St. Catherine's Benedictine Convent at Saint Trond because her family did not have the necessary dowry for marriage. During her teenage years, a young man fell in love with her and began paying her frequent visits. Pleased and a little flattered by these attentions, she was content to have them continue. One day, while the simple girl was speaking with her admirer, Jesus suddenly appeared, blazing before her astonished eyes. He revealed the spear-wound in His side, and said to her: "Seek no more the pleasure of this affection: behold, here, forever, what you should love, and how you should love: here in this wound I promise you the most pure of joys." Lutgarde was struck with both terror and love. Her eyes fixed themselves upon the wound in the Heart of Christ, she lost all consciousness of her surroundings and the sudden pallor of her face indicated to her visitor that something extraordinary had happened. Indeed, Lutgarde, penetrated to the depths of her soul by supernatural light of Jesus, felt the desire of her worldly affection suddenly become completely dispelled, and forever. Her original biographer, Thomas of Cantimpre, does not go into much detail in describing her emotions on recovering her senses. He simply tells us that she turned to her friend with the words: "Go away from me, for I belong to another Lover." From this point onward, she knew that she was to become a professed nun, offering herself and her virginity to Christ, to become His spouse forever. 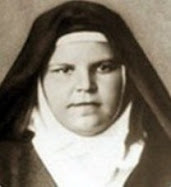 At age 12 she entered the Benedictine convent of St Catherine’s at St.Trond We shall soon see how Jesus had great plans for Lutgarde, that she would someday help to lead many souls to Him, but He was not to force her to correspond to His will. For now He wanted her first to see how the things she thought she wanted would in reality not bring her the joy she thought they would. But one thing was certain: her love for Jesus was sincere. She undertook many extra penances, fasting beyond the measure of the rest, and spending much of the night in prayer. However, this inflamed some jealousy in a few of her fellow sisters. 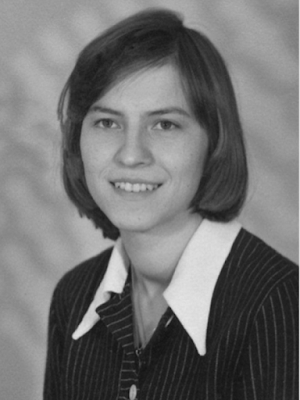 Several spied on her, seeking evidence that she was guided not by God, but by the devil. In fact, her intimate familiarity with God is illustrated by what might seem to some to be a presumptuous or cavalier attitude in expressing her likes and dislikes to Him, which we shall now see. For it came to pass at this time that she was granted a certain power of healing in which her very touch had the effect of instantly curing the little sicknesses of those who came to her. 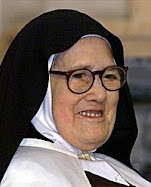 She perhaps thought it would help her lead souls to Jesus, yet it seemingly became a great distraction for her and her fellow nuns. Understandably, she soon found herself beginning to be very busy with those who appealed to her to cure them of their minor ailments. She complained to God of this, assuring Him that it interfered with her and the others prayer life: "Why did You go and give me such a grace, Lord? Now I hardly have any time to be alone with You! Take it away, please," and she added, artlessly, "only give me another grace, give me something better!'" "What grace do you want Me to give you, then, in its place?" Jesus asked of her. Lutgarde, being a choir nun, thought it would be very appropriate if she were to be granted a miraculous understanding of Latin, in order that she might have more devotion in reciting the psalms. As matters stood, she did not understand a word of what she said in choir, although she prayed with great fervor. The grace granted, she discovered to her surprise that once again it did not have the result she expected. She began to receive many vivid intellectual lights at the Office, and to be illuminated by numerous penetrating intuitions into the meaning of the psalms. But somehow all this new knowledge left her heart empty and dry. God had granted her this last relatively useless favor together with enough light to see that it was not what she needed, and she soon turned to Him once more confessing that all these lofty intuitions only interfered with her devotion instead of nourishing it. So seizing the moment, Jesus asked her: What, then, do you want?" This time, Jesus had led her secretly to the discovery of the right answer. "Lord," she told Him, "I want Thy Heart." You want My Heart?" said Jesus: “Well, I too want your heart." Lutgarde replied: "Take it, dear Lord. But take it in such a way that the love of Your Heart may be so mingled and united with my own heart that I may possess my heart in Thee, and that it may always remain there secure in Your protection." St. Lutgarde is perhaps the first saint in whom this mystical "exchange of hearts" was effected. 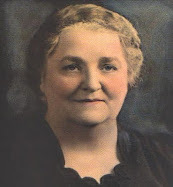 Since her time, the exchange has become rather common in the lives of mystics devoted to the Sacred Heart of Jesus. We read of it in the lives of St. Gertrude, St. Mechtilde (both Cistercians), and St. Margaret Mary. The term is, of course, purely symbolic. There is no question of a physical exchange, but only of a mystical union of wills. Nor does it imply the perfect union of wills in mystical marriage. The exchange of hearts can take place in the degree of union known as spiritual betrothal. The gift then becomes not a sign of perfect transforming union but rather a pledge of that union, which still remains to be desired and which God withholds until His own good time. 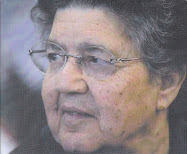 In more recent times for example, Sister Josefa Menendez, a lay sister of the Society of the Sacred Heart, received a similar grace as a protection against temptations to leave the convent. Thus, so far the mystical life of St. Lutgarde had begun with two striking visions, both of which established her as one of the first great devotees of the Sacred Heart of Jesus. To be devoted to the Sacred Heart means to penetrate deeply, by contemplation and love, into the mystery of the love of Jesus for men. The perfection of the devotion is reached in a perfect union with that love - an identification with Christ which conforms the heart of the saint entirely to His burning Heart, pierced on Calvary by the lance of Longinus. Jesus had awakened the heart of Lutgarde to a new life by showing her His own pierced Heart, which is the fountain of all grace and all love and all delight. He had even betrothed her to Himself by an espousal in which she received His Sacred Heart in exchange for her own heart; that is to say in which she was raised to a mystical union of love with Him. This union was still something short of the perfection of mystical marriage. She was not yet transformed into her Beloved so as to become completely one with Him. She still had to be raised out of herself, and lifted up to Him in order to receive from Him the life of her life and the love which was the source of all her love. Her first biographer, Thomas of Cantimpre, places this next vision in the same period when she experienced the "exchange of hearts." Lutgarde had fallen sick with "a fever." She was in bed, and heard the bell ring for Matins, about 2AM. Her head was burning, her flesh shook with chills, and her clothing was wet with perspiration. She thought it would be wise to stay in bed and sleep off her sickness, because it might be dangerous for her to get up and go to choir with the nuns, and stand in the cold church when she was shivering and wet with fever. Suddenly, she heard the voice of Jesus urging her to rise and go to choir with the others. "Get up, quickly, Lutgarde! Why are you lying there? For at this very hour, sinners are wallowing in the mire of their vices, and you ought to be doing penance for them, instead of lying there and letting your body perspire!'" Filled with fear, Lutgarde leapt from her bed and hastened to choir where the Office had already begun. At the door of the Church she saw Jesus. She beheld His living body, nailed to the cross: but the lance wound was open in His side. As she approached Him, Jesus let down one of His arms from the Cross to embrace her and draw her to Himself. As He did so, He pressed her lips to the bleeding wound in His side, and from His Sacred Heart the young nun drew forth from a infinite Spring which filled her with love and joy. And so we have in her first vision, Lutgarde had been promised the knowledge of all that was worthy of love, if she would turn aside from creatures and concern herself with the Heart of Jesus alone. 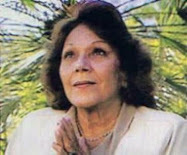 In her second vision, she had been granted an exchange of hearts with Jesus. Now she had been privileged to draw, from that same Heart, the Precious Blood and Water which flows from the Heart of our Lord. It is not surprising then with all these graces, that she would now be given a visit with the "Apostle whom Jesus loved" and who had rested his head upon our Lord's breast at the Last Supper. For St John the Evangelist has always, for obvious reasons, been closely associated with devotion to the Sacred Heart. In a vision, he was sent to Lutgarde in the form of an eagle. In this particular vision, St. Lutgarde saw the "Eagle of Patmos" flying with plumage that so blazed with light that the whole world could have been illuminated by the glory of his wings. Touching her lips with his beak, the "Eagle" instantly filled her with a flood of such intense intellectual light that it seemed there could be no secret of the divine essence that lay hidden to her. Thomas of Cantimpre testifies that after this vision, although her speech was plain, and her explanations were unscientific, St. Lutgarde was able to set forth the highest truths of theology with a wisdom, subtlety, and accuracy that simply took his breath away. 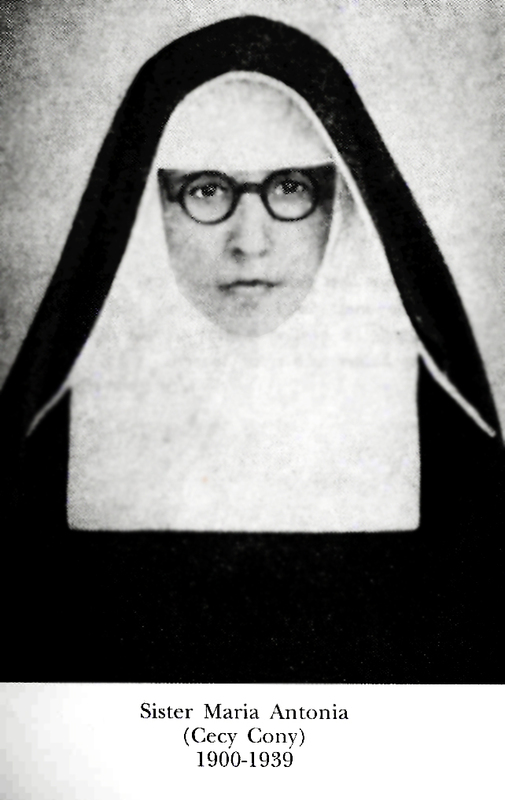 As was mentioned earlier, although a certain amount of envy from the other nuns had initially been directed towards Lutgarde, her intense devotion and charity seemed to have eventually won everyone over during the course of her nine years in St. Catherine's convent, and she was elected to be Superioress of the community there. In fact, she was elected unanimously - a thing which is rather surprising, in view of the envy of which she had once been the object. The year was 1205, when the saint was twenty-three years old. Far from being flattered or pleased by her elevation to this dignity, Lutgarde regarded it as a disaster. Indeed, it seems to have moved her to look elsewhere, and to seek some other Order. 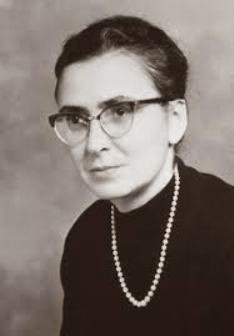 She thought St. Catherine's could provide her with sufficient opportunities for living as a contemplative as long as she was an obscure member of the community, but not when she took her place at its head. While taking up her role as Superior, it was natural that her thoughts should turn to the austere Cistercian nuns, commonly known as Trappists, who had by this time, many flourishing convents in the Low Countries. 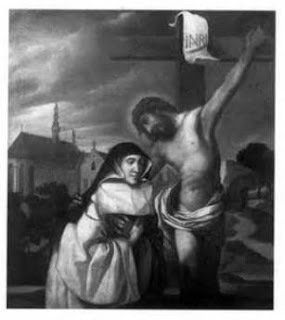 She asked the advice of a learned preacher of Liege, Jean de Lierre, who urged her to give up her post as prioress and leave the Benedictine Order for the Cistercian convent of Aywieres, (Awirs) which had recently been founded near Liege, but had been transferred to a site in Brabant, near the village of Lillois. She was very reluctant to accept this particular choice, because French was spoken in Brabant, and she felt it would be unwise to enter a convent where she would not understand the language of her superiors or spiritual directors. Meanwhile, Christ Himself intervened, and spoke the following words to her: "It is My will that you go to Aywieres, and if you do not go, I will have nothing more to do with you." As if this were not enough, Lutgarde was also admonished by a saintly friend, who has since been venerated as St. Christine "the Admirable" who told her to go to Aywieres, and so with no further pos¬sibility of doubt as to the convent of the Cistercian Order to which she was called, Lutgarde left St. Catherine's without consulting her community and went to Aywieres. When the nuns of St. Catherine's discovered their loss, they were inconsolable, but it was too late to do anything about it. Lutgarde, in her turn, prayed earnestly for the peace of the community she had left and was assured by the Blessed Virgin that her prayers would be answered. Indeed, Thomas of Cantimpre ends the first book of his life of St. Lutgarde with the comment: "The indubitable effect of these prayers is to be seen even today [some fifty years later] in the community of St. Catherine's. For this particular convent continues to grow in fervor more than ever, and to increase, at the same time, in temporal prosperity." At the new convent, the nuns of Aywières spoke French, not Lutgarde’s native Flemish. Despite her efforts, she found the French language very difficult to master. It was through the Mother of God that her special vocation as victim for the heretics was announced to her. The Blessed Virgin Mary appeared to St. Lutgarde in deep anguish, and the sight of our Lady's sorrow pierced the nun so deeply that she cried out: 'What ails thee, oh my dearest Lady, that your face should be so saddened and pale?" 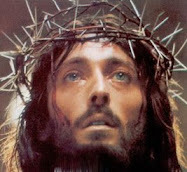 The sorrowful Virgin replied: "Behold, my Son is once again being crucified by heretics and bad Christians. Once again they are spitting in His face. Therefore, if you accept, I ask you to do penance, and fast for seven years, to appease the anger of my Son which now hangs heavy over the whole earth!" The vision was gone, and Lutgarde, her heart on fire with desire to do penance for a world full of sin, began the first of her three seven-year fasts. During these years she lived on nothing but bread and the ordinary drink of the convent, which happened to be weak beer. Fasts as extraordinary as this had been known in the Church before St. Lutgarde, and, indeed, the common fare of the old Fathers of the Desert had been little better than this and it is not usually claimed that their fasts were miraculous. 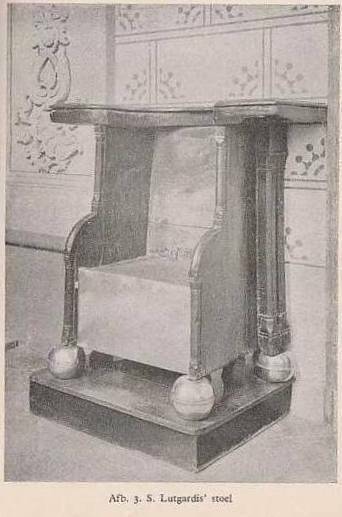 In the case of a woman - and one of none too strong a constitution - such a feat was evidently much more surprising, and, to dispel every doubt as to its miraculous character, God presented evidence of it in the following sign. St. Lutgarde was more than once ordered, under obedience, to take other food besides bread, but it was physically impossible for her to swallow anything else, "even a bean'" as her biographer tells us. Indeed, he adds that her fasts, instead of weakening her health, only increased her strength and her power of resistance. This first seven-year fast was to be followed by another, and then a third, which only differed from it in minor details. The second was also the result of a revelation, and its intention, instead of being for "bad Christians and heretics" was for sinners at large. In addition to bread she put some vegetables on her diet this time. St. Lutgarde had the character of her vocation more and more deeply impressed upon her soul by a series of visions during the time of this fast--visions which occurred almost daily, and usually took place at Mass. 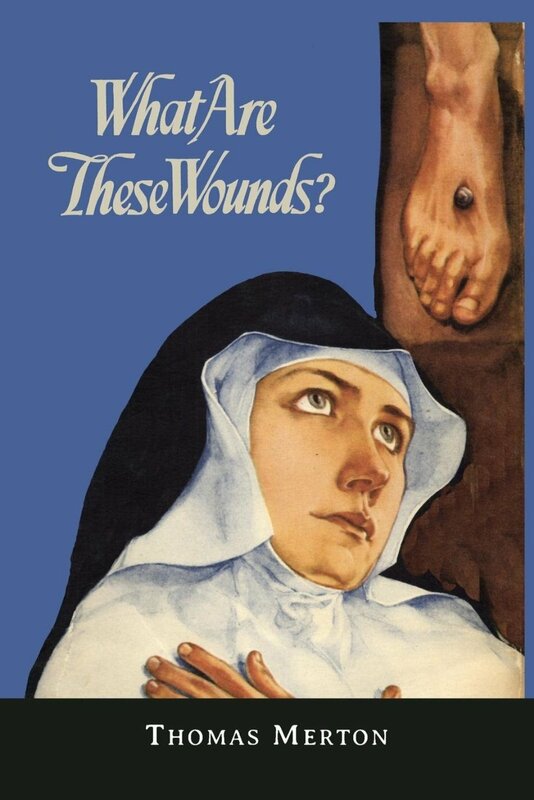 She would see Jesus standing before the face of His heavenly Father, showing Him His wounds, which had the appearance of having been freshly opened and were full of blood. Turning to Lutgarde, our Lord would say: "Do you not see how I offer Myself entirely to My Father, for My sinners? In the same way, I would have you offer yourself entirely to Me for My sinners, and avert the anger which has been kindled against them, in retribution for sin." 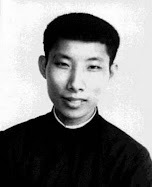 "Dear friend, do not worry: this man who secretly desires the overthrow of the Church is either going to be humbled by the prayers of the faithful, or else he will soon depart this life, and leave the Church in peace." At the time when Thomas was writing, however, these prophecies had not yet been fulfilled, although they soon were to be, and so he did not venture to name the enemy who was most probably the Emperor Frederick II. Frederick II, cultured and skeptical, devoured with pride and ambition and given to a life of indulgence, scarcely concealed his contempt for the Church and for the Christian religion - indeed, for all religion, and for the very notion of God. He had been heard to say that "three impostors, Christ, Moses, and Mohammed had led the world to its ruin." Presumably men like himself were destined to build it up, again by unbelief, debauchery, and war. It was also said of him that once, on seeing a priest carrying the Blessed Sacrament to a sick person, he had exclaimed: "How much longer will this comedy last?" With this we can see that he was a likely candidate who was seeking to overthrow the Church at that time. 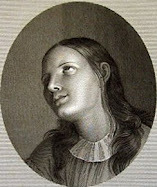 Thomas Merton, in his biography of the Saint, reports that she had a particular devotion to St. Agnes, the Roman virgin martyr. She was one day praying to St. Agnes when "suddenly a vein near her heart burst, and through a wide open wound in her side, blood began to pour forth, soaking her robe and cowl." She then sank to the floor and "lost her senses." She was never known to have been wounded in this way again, but it is known that she kept the scar until the end of her life. This took place when she was twenty-nine years old. Witnesses to this event were two nuns, one named Margaret, the other Lutgarde of Limmos, who washed the Saint's clothes. In July, 1216, St. Lutgarde suddenly saw the Sovereign Pontiff in a vision. His body was wrapped in a great flame. 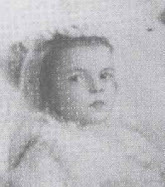 Lutgarde did not know the Pope had died, as the news had not yet reached Belgium, and even if she had, she would not have been able to recognize him since she had never seen him. "Who are you?" she asked of the figure in the flame. 'What!" cried Lutgarde, in complete shock, "How is it that you, our holy father, are being tormented in such great pain?" 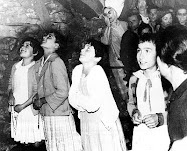 The Pope revealed to her three causes why he had rendered himself worthy even of hell, but said he had merited grace to escape that torment by founding a monastery dedicated to the Mother of God. Nevertheless, he said he had been consigned to purgatory until the Day of Judgment, but begged for her prayers - and added that the grace to appear to her and make known his great need had also been obtained for him by our Lady. Lutgarde undertook some extraordinary penance for the soul of the great Pontiff, but its nature is not revealed to us by her biographer. Neither does he tell us the three causes of this suffering. Lutgarde had made them known to Thomas of Cantimpre, but he decided to bury them in oblivion, out of respect for the memory of so eminent a Pope. A confirmation of her vision can be supported through a similar vision concerning Pope Innocent III was had by Blessed Simon of Aulne, a contemporary of St. Lutgarde's, famous for his charismatic gifts, especially for his miraculous knowledge of the secrets of souls. This holy Cistercian lay brother had even been summoned to Rome by the same Innocent III, at the time of the Lateran Council, that is, shortly before his death, and the Pope had consulted him not only on matters of Church policy but even personal spiritual affairs. Thus we can find some additional confirmation from this holy personage. Our next case is that of a certain abbot who owed his liberation from purgatory to St. Lutgarde. This man, a learned and talented nobleman from Germany, entered the Cistercian Order and became abbot of Foigny. A fervent lover of the Rule, he had nevertheless failed to grasp the tremendous importance of its seventy-third chapter, and St. Benedict's condemnation of that "evil zeal of bitterness which separates men from God and leads them into hell." Simon (as the abbot was called) tried to enforce the Rule in the harsh, disciplinarian spirit of an army officer, instead of applying it with the wisdom and discretion of a loving father. He had the misfortune to die suddenly in this frame of mind, and soon found out how little there was of the spirit of Christ in his way of training men. St. Lutgarde had known him before his entrance into the Order, and was greatly afflicted at the news of his death, so that she began to pray, do penance and fast, fervently begging God for his release. Soon she received an answer, from a heavenly Voice, that her prayers were favorably received, and that all would be well with her friend. But Lutgarde was not satisfied with so vague a statement. It was not enough to know that he might get out of purgatory some time soon, she wanted to hear that he was definitely in heaven. Until then, she could not rest, and, returning to the attack, she pleaded with the Sacred Heart to take away whatever consolations He had destined for her, and to grant them all to the poor suffering soul of the abbot of Foigny. Christ did not keep her ardent charity any longer in suspense. He presently appeared to her, and brought with Him the soul for whom she had interceded with such loving insistence. "Dry your tears, My beloved," said our Lord to the saint. "Here he is." Lutgarde flung herself face downward on the floor, adoring the mercy of God and blessing Him for His bounty. The soul of Abbot Simon, exulting and praising God, thanked his benefactress, and she saw him pass on into heaven. We must not imagine that these visions of disembodied souls passed before the mind (perhaps even the bodily eyes) of St. Lutgarde without striking her to the depth of her soul with movements of wonder, love, and fear. Perhaps the most terrifying experience was that by which she was supernaturally informed of the death of her own sister. 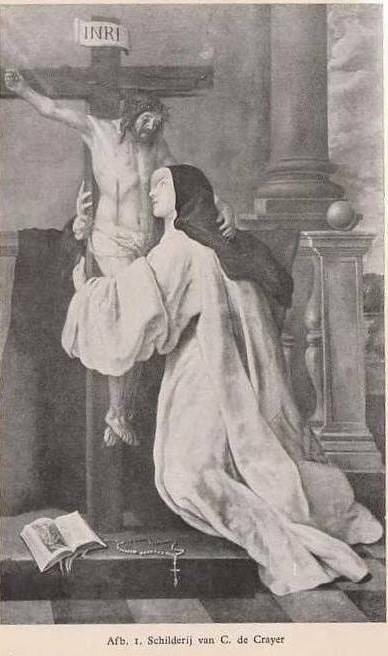 Suddenly, one day, in the air above her head, she heard a terrible, resounding cry, the voice of a woman in great anguish: "Have mercy on me, dearest sister! 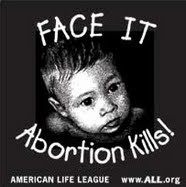 Have mercy on me and pray for me, and obtain mercy for me, as you did for all those other souls!" Soon afterward, the news of her sister's death reached her by ordinary means, confirming what she had heard. Then there was the holy priest Jean de Lierre, on whose advice she had entered Aywieres, He did not have to appeal to her from purgatory. These two saintly souls had made a pact with one another, in which they mutually promised that the first of them to die would appear to the other and make the fact known. "I am dead. I have left this world. But I have come to keep my bargain with you, and inform you of my death as I promised before God." Falling on her knees before him, Lutgarde suddenly saw his garments filled with splendor, blazing in white and red and blue. Asking him the meaning of these colors she was told that the white signified the spotless innocence of virginity which the saintly man had preserved all his life, the red betokened the labors and sufferings in the cause of justice which had absorbed so much of his time and energy during life and which had eventually led to his death. The blue showed the perfection of his spiritual life, that is his life of prayer and his union with God. Thomas of Cantimpre reports of a woman had a son, a boy named John, who had epileptic fits. One night in a dream, she heard the words: "Go to Mother Lutgarde, who lives at Aywieres, and she will deliver your son from his sickness." Accordingly, the very next day the mother arose and took her child and went to Aywieres. 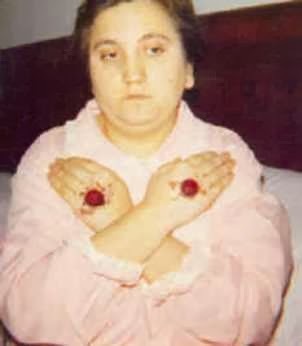 Lutgarde said a prayer, put her finger in his mouth, at the same time making a sign of the cross on his chest with her thumb, and from that day forth he was completely cured. There was a good lady of Liege called Matilda, who had two grown sons in the army and had lost her husband. Leaving what property she had to the two soldiers, she entered Aywieres to finish her life peacefully in the service of God. She was getting to be an old lady, and was quite deaf. One day, while the choir was singing Vespers of some great feast, someone made a sign to old Sister Matilda, to the effect that the nuns were singing very high and it was just beautiful to hear them. The poor old lady caught the meaning of the sign, and bowed her head and began to cry because she was so deaf that she had not heard a thing. Lutgarde came in just then and saw her crying, and made her a sign, asking what was the matter. 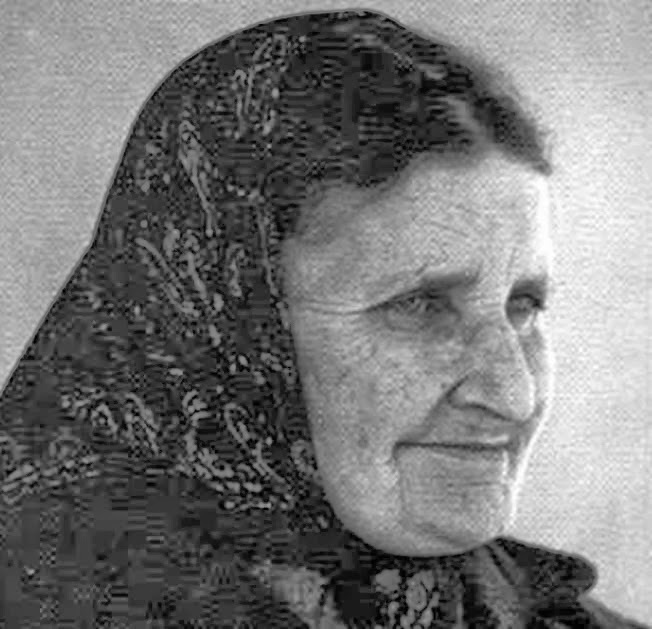 Sister Matilda replied that she was crying because she was deaf, and could not hear the singing. This reply roused the compassion of the Saint. She knelt and prayed a little, then, rising, she moistened her fingers with saliva and placed them in Matilda's ears. And then the old nun suddenly felt the wall that barred all sound from her mind break down with a roar, and her ears being opened, she heard the sweet singing in a rush of clear and wonderful sound. Letting out a cry of joy, both of their hearts swelled with thanksgiving to God for His infinite kindness and mercy. The incident concerns the discovery of some relics at the monastery of Jouarre, near Meaux, in France. They were in an alabaster tomb in a chapel crypt, and the priest who had discovered them, having failed by ordinary means to find out whose relics they were, asked St. Lutgarde to pray for a revelation concerning them. Shortly afterwards, the forgotten saint appeared to Lutgarde and declared that she was St. Osmanna, a virgin and daughter of the King of Ireland, who had come to France and taken up her dwelling in Brittany, where she had led a very holy life. 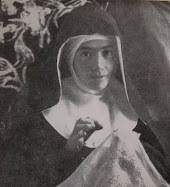 Not wanting to rely simply on her own private revelation, Lutgarde asked the Irish saint to confirm this by appearing also to the priest from Jouarre, which she did, with great promptness and generosity, not only once but three times in succession. Five years before her death, that is, in 1241, St. Lutgarde received the revelation that she would enter heaven on the third Sunday after Pentecost, when the Gospel of the Great Marriage Feast would be sung. Meanwhile, she had been totally blind for the past six years, that is since 1235. Unfortunately Thomas of Cantimpre does not provide too much information concerning her blindness, but such was relatively common at that time due to overall poor nutrition. Besides that, since 1239, she had been carrying on her third and last seven-year fast on bread and a few vegetables, to save the Church from the power-politics of Emperor Frederick II. 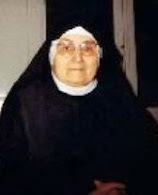 The strictness of her fast may be judged from the fact that she did not even mitigate it on Easter Sunday but fasted relentlessly every day for the whole seven years. For St. Lutgarde, the desire of heaven was something more than a pious wish—she longed for heaven with all of her soul. . It was a mystical affliction that united her with Christ on Calvary. Thomas himself testifies that he sometimes saw her weep¬ing so piteously in her disappointment that she was not yet dead and able to enter into heaven, that he himself could not bear to look at her without being moved to tears." In 1244 it seemed for a time that she would have her wish. She fell gravely ill, and Fra Bernard, calling at Aywieres, found that she had been given the Last Sacraments, as though she were expected to die at any moment. At this, of course, the saint was in a high state of enthusiasm and delight. But the Father decided that he saw no evidence that she was about to leave this world, and told her so. "Oh, don't say that, dear Father," cried St. Lutgarde, "for indeed I greatly desire to see Christ, face to face." "Truly, Mother, you will not see Him now," said the priest. 'Well," she said, lifting up her eyes to heaven, "if I am not to see Him now, at least may His will be done tomorrow. Let me get up and I will at least receive Him in Communion.'" St. Lutgarde was not so absorbed in her desire of heaven that she remained indifferent to everything that went on around her on earth. 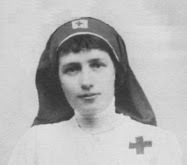 With characteristically blunt simplicity she had observed that the nuns in the infirmary were reciting their Office in a rather careless manner, and she told them that their execution of this duty could be considerably improved. Also she did not hesitate to warn them that if they did not do better the convent as a whole would be given grave cause to regret their neglect: a prophecy which Thomas of Cantimpre considers to have been fulfilled after her death. Finally dawned a joyful day for Lutgarde, sad for her dear friends in this world: a day which Thomas of Cantimpre had prayed to be allowed to anticipate with his own death: a day which left him lamenting his lot, and declaring that he had been left an orphan. 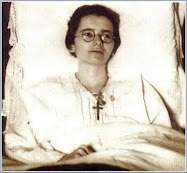 On June 9, a Saturday, the day before the second Sunday after Pentecost, which Thomas calls the "Octave of the Holy and undivided Trinity,"23 St. Lutgarde entered upon the final stages of her sickness. It soon became clear to all that the saint was dying. Just how many more days she had left was not clear. On the following Monday a lay brother of Affiighem saw her, and remarked that he wished his Father Abbot, a good friend of St. Lutgarde's, could be there. "He will be here tomorrow," said the saint. The lay brother, unwilling to contradict her, kept silent. "I am about to start for heaven, dear friend: and you are the best of all those I leave behind me." "Come and sit here close to my heart. For look, the monastery is all filled with the soldiers of the heavenly army: the souls of the blessed are here present with us, and among them are many, many of our sisters who have gone before us out of this world." Yes, all her heavenly friends who had before come to summon and to advise her individually had now gathered in a tremendous multitude. She could see the whole convent packed with them, as though they were jostling one another in the corridors, and the doorways, and in the cloister, waiting to catch up their new companion with a song of exultation, and begin their journey home into the realms of light. With these words St. Lutgarde fell silent and remained rapt in spirit, her face shining with happiness for more than a day - the whole Friday that followed. Finally, on the Saturday, she returned to herself long enough to receive the Last Sacraments, and then, at last, took flight, peacefully and quietly to the kingdom of her Bridegroom with her friends, the glorious saints. Her passing from this life to heaven was at around 4pm on June 16, 1246--the same day of the month on which St. Margaret Mary was to have her famous vision of the Sacred Heart, in the year 1675. -St Lutgarde of Aywières, pray for us! Support this website! 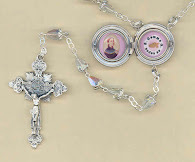 Check out the rosaries, lockets and booklets in the Mystics of the Church Gift Store. Keep up the great work, Glen! 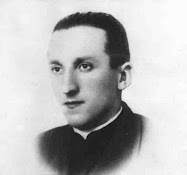 What a great saint and an intercessor for the Holy Souls in purgatory. " Saint Lutgarde, pray for us"